Police body cameras are used to capture evidence when investigating crimes as well as allegations of police misconduct. But these recording devices are vulnerable to a variety of digital attacks, and even to the police team! Knowing that police wear body cameras can put our minds at ease when it comes to unjust acts. But what if this footage gets modified or altered. Or even erased?! 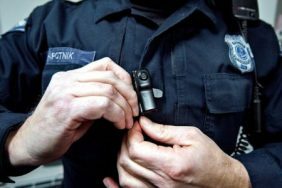 According to security researcher, Josh Mitchell, body cameras can be tracked, manipulated, as well as upload and download videos. 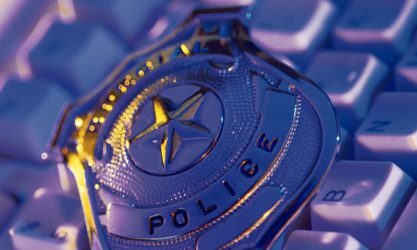 Mitchell analyzed body camera models marketed specifically for law enforcement purposes by Axon’s Vievu, Patrol Eyes, Fire Cam, Digital Ally, and CeeSc. What Mitchell uncovered will shock you as well as law enforcement! These cameras are not difficult to hack into. They can even smuggle Trojan malware into police stations! If a hacker installed malware on these cameras, it can cause disruption, crash devices, or even conduct surveillance of their own. These devices lack cryptographic protections and aren’t signed off by police, therefore, the footage cannot be validated properly without a proper timestamp. Hackers can alter footage without any detection of tampering. The cameras have WiFi capabilities with IP addresses visible, allowing the location of the wearer to be traced. Failure to mask an IP address could be critical. If the police are in the middle of an undercover operation, this might spoil their planned raids. Mitchell is appalled by the lack of security issues with police body cameras. He states that these devices are missing modern security protections and mitigations to prevent cyber-attacks. Mitchell disclosed his results to the vendors. He suggests that these vendors should randomize the MAC addresses and the WiFi access point information. The cameras should also have better access controls and integrity checks to ensure the footage is authentic. Axon is in the process of issuing a fix to resolve the Vievu bugs, Patrol Eyes is currently evaluating the research, and Fire Cam discontinued the device tested by Mitchell. Advanced Plus Group has patched the CeeSc device based on the research. Are One of These Commonly Hacked Passwords Yours? Were Chipotle App Users Hacked? !